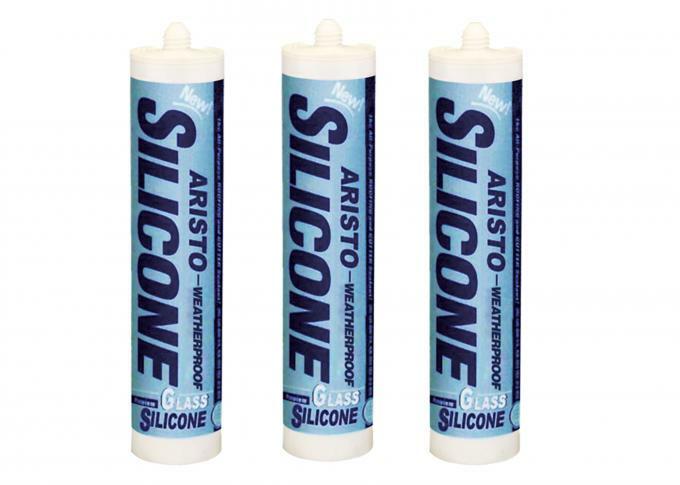 Aristo Weatherproof Silicone Sealant is a one-part, neutral-cure, architectural grade sealant specifically designed for general glazing and weather sealing in curtain wall and building facade. It easily extrudes in a wide rang weather condition and quickly cures at room temperature by reaction with moisture in the air to form a excellent , durable, flexible silicone rubber seal. 1. baths, showers, sinks, urinals and ceramic tile joints. 4. Application for automotive, ship, packaging advertisement and family decoration. 1. can be easily used and extruded any time. 2. superior mildew-proofing, keep pleasing to the eyes and sanitary in conditions of dark and high humidity. 3. excellent contact change and extrusion ability, in any air temperature (-40C~100C) can extrude easily. 4. excellent adhesion to most building materials. 5. outstanding weatherproofing ability, excellent tensile and compression restoring ability. 6. neutral curing, no corrosive to stone, ceramics, concrete, metal and glazing glass, etc. overcome the weakness of acetic sealants (normal glass sealants) erodes the materials.